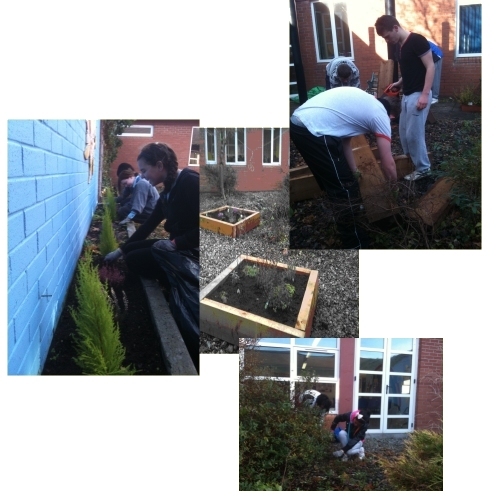 The School Completion Programme and the Gaisce Awards Programme are involved in a school Garden Project. The various school gardens are being developed and to date we have a Herb Garden beside the TOFE Canteen and a Contemplative Garden beside the Library. Work in these gardens is on-going and involves maintenance of existing beds as well as new planting and general upkeep of the pond and ground areas.